Fans around the world have been assembling to see the Marvel Studios film. Marvel Studios’ “Avengers: Infinity War” was unstoppable in its opening weekend, breaking records for both the biggest domestic and international box office openings of all time. “Avengers: Infinity War” is currently Certified Fresh at 84% on Rotten Tomatoes. 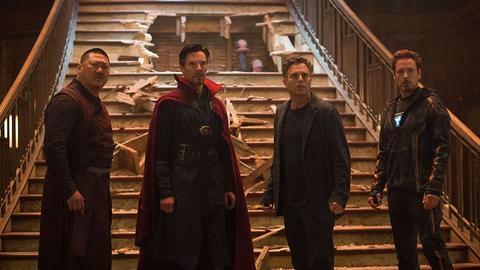 The opening weekend of the film brings the Marvel Cinematic Universe up to a $15.4 billion gross total, with the MCU already firmly cemented as the highest grossing franchise of all time. To see the Avengers battle Thanos for yourself (or to go again! ), reserve tickets now via Fandango! Stay tuned to Marvel.com, follow @Avengers on Twitter, and Like “The Avengers” on Facebook for the latest on the Avengers as it develops! Just when Thanos thinks he has the advantage... he doesn't.